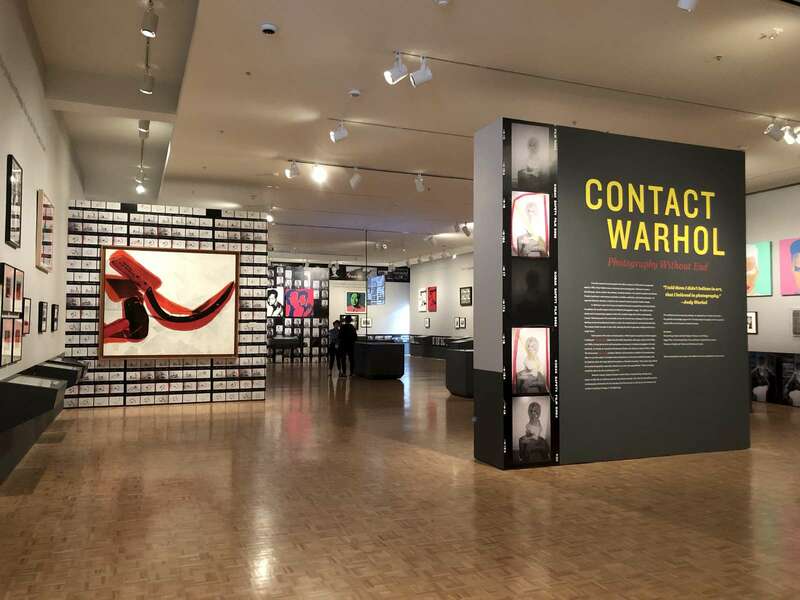 Contact Warhol: Photography Without End IKD oversaw all architectural and exhibition design elements including movable partitions, art display apparatus, layout of artwork, and graphic design for the project. IKD’s holistic, integrative approach to gallery design enabled a seamless visitor experience that considered issues of visitor flow, accessibility, spatial composition, and visual organization as well as the integration of several projected videos and an interactive table. The exhibition drew from a trove of over 3,600 original contact sheets revealing previously unseen photographic exposures for the first time, depicting intimate images of the artist’s daily life documenting everything from the mundane to his interaction with celebrities.